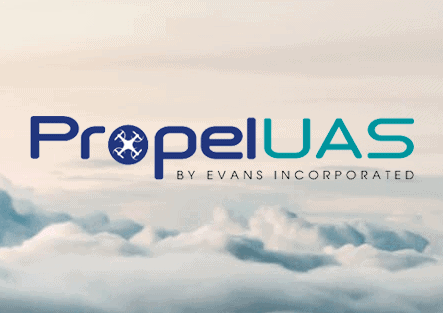 In 2016 Evans launched PropelUAS, a division of the firm that would provide guidance and expertise to organizations around unmanned aircraft systems (UAS) technology. With more than 20 years of consulting experience at the Federal Aviation Administration (FAA), Evans was uniquely suited to help companies navigate airspace regulations and training requirements. PropelUAS was awarded the Greater Washington Government Contractor Awards in 2018 for its work supporting the Loudon County Sheriff’s Office (LCSO) “Project Lifesaver” program. 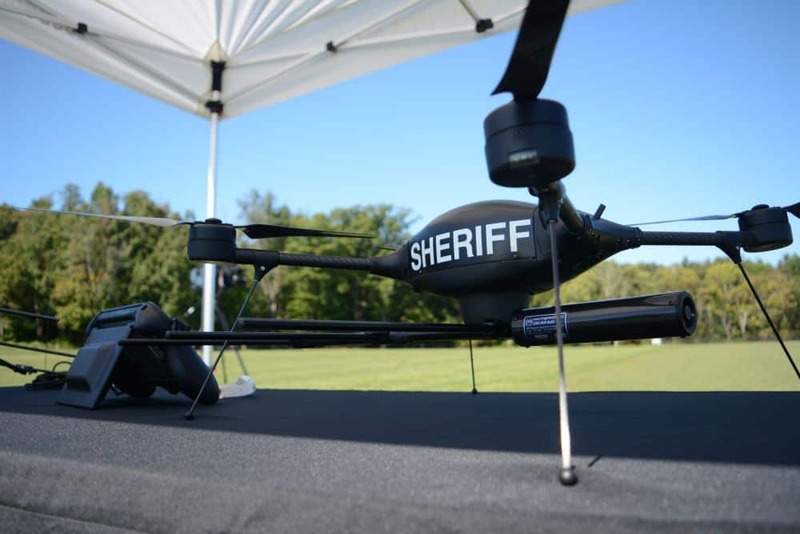 The Loudon County Sheriff’s Office “Project Lifesaver” program sought to enhance search and rescue efforts by using drones to electronically locate lost individuals. Their innovative use of drones, however, would require comprehensive training of the technology and accompanying rules and regulations. “The LCSO procured an expensive piece of technology they weren’t able to fly. They placed trust in PropelUAS to guide them through regulatory hurdles and licensing to put it right into action…,” says Sue Evans, President and Founder of Evans Incorporated. LCSO team knew that people’s lives would be effected by the outcome of this partnership and that they had to get it right the first time. LCSO had many choices when it came to developing their program and training their pilots, they chose the PropelUAS team because of their experience, knowledge and Human-Centered Approach. The PropelUAS team took a personalized approach in supporting LCSO. They started by base lining where the client’s current UAS program development was, identified long- and short-term objectives of the agency, and then developed a plan for the LCSO to enact to accomplish those objectives. The PropelUAS team developed agency specific training that included both technical and operational requirements in safety, regulatory and UAS operations efficiency. By understanding how and what LCSO wanted to achieve, the PropelUAS team was able to incorporate their needs and desires into specific scenario based UAS pilot certification training, the training focused on their geographic locations and scenarios that they would be likely to encounter. This allowed LCSO to apply the needed education and skills directly to missions that they would need to accomplish in the field. who was found within 20 minutes of deploying the drone. Since then, LCSO has located a number of individuals through both Project Lifesaver and regular Search and Rescue operations with the drone in use. The success of the UAS program has opened the door for an expansion of use into other key areas that LCSO encounters on a daily basis, such as accident reconstruction. The PropelUAS team is proud to have been a partner of LCSO in the early development, continued use and the future endeavors of the LCSO UAS program. The Department of Defense (DOD) has been flying drones for years, but they’re certainly not the only part of the U.S. government to use them. Departments of Interior (DOI), Agriculture (particularly the Forest Service), and Commerce (the National Oceanic Atmospheric Administration or NOAA) as well as the National Transportation Safety Board are achieving cost and time savings and expanding their work thanks to drones. Even FAA is exploring drone use at airports. Let’s focus on DOI—which, along with the U.S. Forest Service, is using drones for land management and emergency response missions. savings (missions involving drones require an average of 1/7 the time with 1/10 the resources). Going forward, the Department wants to start using drones also for sustainment and STEAM (science, technology, engineering, math and the arts). Missions include wildfire response, search and rescue, wildlife monitoring, hydrology, geological surveys, geophysical surveys, and monitoring and responding to volcanic activity. DOI made 707 flights responding to 71 fires in 2017. A huge benefit is being able to fly at night for fire response (they can only operate 8 hours/day with helicopters). A drone even guided trapped residents to safety as the Kilauea volcano erupted in spring 2018. DOI issued its first UAS solicitation this May, for call-when-needed services. The selected companies are now the go-to roster from which DOI selects for specific drone needs. The Department tapped one of these selected companies for the first time in June for fire response. Under this contract and through partnership, the team is testing technologies such as optionally piloted helicopters that allow pilots to jump in helicopters to fly between missions so a UAS doesn’t have to get airspace authorization. Another area the team is looking to explore is data analysis. Public outreach is central to all of DOI’s drone initiatives. 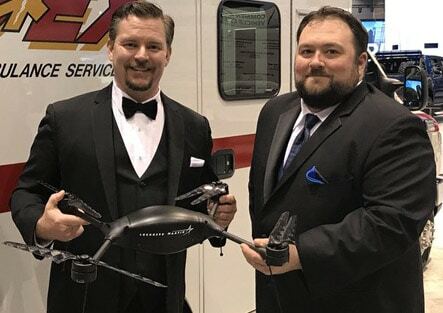 Their missions have received zero public complaints, which Office of Aviation Services director Mark Bathrick attributes to an emphasis on FAA compliance, internal training, and outreach as part of every mission to show people the value of drone activities. The team also did public service announcements for drone pilots during fires with the message “If You Fly, We Can’t,” with some parallel messaging from FAA. Paired with a robust reporting process the department created, and with mapping of areas where pilots can’t fly, DOI measured a 32% decrease in drone incursions after that effort began. Evans’ work with FAA’s UAS team involves a lot of focus on outreach to both internal staff and external stakeholders, and we aren’t surprised DOI is seeing great payoffs from its focus on compliance and outreach. DOI focuses a lot of energy on leveraging partners in the drone arena—collaborating as well as using resources and research. DOI has 21 federal and state partners currently, according to Mark Bathrick. They aim to learn from and build on successful programs, such as DOD, FAA, the Association for Unmanned Vehicle Systems International (AUVSI), and FAA’s ASSURE Center of Excellence. To contribute to these partnerships, DOI created a master requirements spec of minimum drone capabilities with input from 400 people that they share with partners they mentor, because many don’t get the right equipment for their needs. DOI actually flew used drones from 2009-2015 handed to them by partner agencies and learned what they really needed—effectively free research to inform their ultimate solicitation for drones in 2016. Collaboration makes sense, especially when U.S. Forest Service uses drones for disaster recovery and mitigation (including fire management and burned area emergency response after a fire); conservation planning and practice certification; forest, watershed, soil, and air management; and improved wildlife habitat management, all of which have some overlap with DOI. And everyone needs to work with FAA (just take a look at the list of current agreements between FAA and DOI). DOI learned early on that there were many lessons already learned that they could benefit from, and they’re now sharing their lessons with federal, state, and local entities through mentorships. Evans applauds the smart and efficient approach DOI’s UAS program has taken and is exploring opportunities to support such UAS programs as they launch and grow. Evans’ PropelUAS division can help you launch a successful UAS program. Click here to connect to us to learn how. It’s a Bird! It’s a Plane! It Had Better Not Be Your Drone. How important is it really to follow the rules when you fly your drone? Neither FAA nor police have fined many drone pilots to date, and you’re just having fun anyway, right? In fact, it’s very important. A drone of any size has the potential to cause harm to life, limb or property, and it’s your responsibility when you enter the national airspace to fly safely. FAA is issuing stern warnings in recent weeks about big civil fines they can levy and is collaborating more closely with local police units to crack down on criminal violations—so you’re also less likely to “get away” with breaking rules. Will I really get in trouble? FAA and law enforcement focus mostly on larger UAS flying under Part 107. After the small UAS rule (Part 107) took effect, FAA prioritized educating remote pilots about the rules, giving remote pilots a sort of grace period. Yet FAA can take civil action anytime. There’s growing pressure on FAA lately to enforce the rules, now that Part 107 has been in place two years and proliferation of drone activity is leading to some frightening incidents. Local police have not cited or fined large numbers of remote pilots to date for criminal offenses. Yet you CAN get fined thousands of dollars—and the amount isn’t standardized. Hobbyists, especially those flying tiny drones, are considered the responsibility of hobbyist organizations since they are supposed to operate under Academy of Model Aeronautics (AMA) or another organization’s guidelines, under Section 336 of the 2012 FAA Modernization and Reform Act and Part 101 of the small UAS rule. Yet few pilots actually qualify as hobbyists—it’s a surprisingly narrow category. There is growing concern about hobbyists, though, since many are not members or even aware of these rules, so keep alert for possible changes to jurisdiction or changes to Section 336. Registration is required for ALL drone pilots, and failure to comply can mean steep fines. It only costs $5—this is a no-brainer. Who would come after me? Generally local police. FAA issued a revised version of its “Law Enforcement Guidance for Suspected Unauthorized UAS Operations” on August 14, which outlines its coordination with law enforcement to take legal action against UAS operators for unauthorized or unsafe operations. In most cases, law enforcement is in a better position to “deter, detect, immediately investigate, and, as appropriate, pursue enforcement actions.” FAA is spending more time recently on developing partnerships with law enforcement and guiding them on drone laws. And remember, there are state and local laws in addition to federal laws, so learn the specific requirements where you want to fly. FAA is responsible for the safety of the U.S. airspace and focuses on education, but the Agency can take civil administrative enforcement action if a pilot endangers life or property—what’s called reckless operations. FAA just clarified in a revision to compliance and enforcement order 2150.3B change 13 August 27 that fines should be in the $15,000-20,000 range per violation. Does that get your attention? One Chicago company was fined $200,000 for a series of unauthorized flights, with an original proposed fine of $1.9 million (though this was before Part 107)…it adds up quickly. We hope likely punishment isn’t your only motivation to follow regulations and fly safely. Our national airspace system (NAS) is the safest in the world. When you fly a drone, you enter that airspace, and that comes with responsibility. Recently drones have lacerated a toddler’s face, injured a man on his wedding day (the photographer’s drone! ), sliced a woman’s eye during a Las Vegas show, and crashed into the Seattle Space Needle. Much worse, a collision with a helicopter or other manned aircraft—or even near-miss, if the pilot takes evasive action—could cause the aircraft to crash and risk the lives of pilots, passengers, and people on the ground. We hope you want to avoid damage to life or property at all costs. The stakes (and consequences) are particularly high where drones could interfere with emergency response, such as during wildfires or hurricanes. FAA announced in the Order change mentioned above that it will automatically refer cases of drone interference with first responders for enforcement. FAA puts out press releases ahead of nearly every natural disaster warning drone pilots about such risks for interfering with emergency response (here is the one for Hurricane Florence). How do I fly safely? 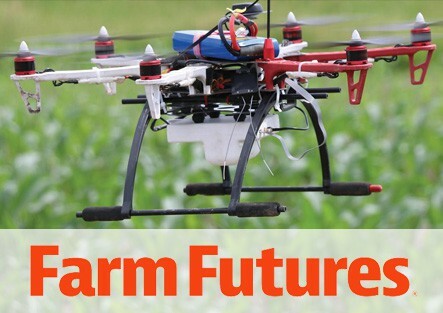 Know the regulations: review all guidance at faa.gov/uas, dial into webinars. Get training—especially if you’ll be flying under Part 107. You need to pass the remote pilot test, which takes education. That’s the beginning: then you have to fly This requires practice, ideally with someone who knows a lot. Be careful about where your money goes: a cheap training isn’t likely to teach you how to fly safely in all cases, i.e. to protect yourself and others. Evans’ PropelUAS division can help you launch a safe and legal drone program and fly safely. Click here to connect to us to learn how.